We have designed a series of city tours, one-day excursions and in-depth itineraries to share with our guests what we consider the most authentic and beautiful places of Andalusia. Our passion for the culture, architecture, gastronomy, history, traditions, art and the great outdoors of this land is well present in all of these tours. 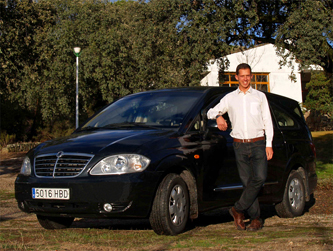 We deeply enjoy offering them to those travelers wishing to experience the essence of Andalusia with a local expert. We have designed these tours for those travelers arriving to Seville, Cadiz or Jerez by themselves who would like to have a local host to make the most of their time there. Departing from your accommodation, these trips include private transportation in a modern and comfortable vehicle to various Andalusian destinations we have hand picked for their beauty, character, history and great gastronomy. Your personal tour guide and driver will pick you up from your accommodation and will guide throughout the journey to share with you their local expertise and valuable, insightful information. You will be taken for lunch to wonderful local places serving quality food and after some final exploration, you will be driven back to your accommodation. See Day Trips. 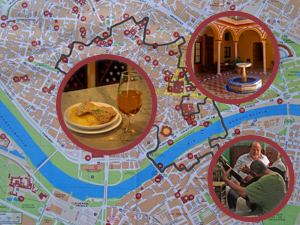 These tours consist on an itinerary of between 3 and 9 days. We have designed them compiling a series of unique experiences which allows our guests to discover in depth a specific Andalusian area or theme.